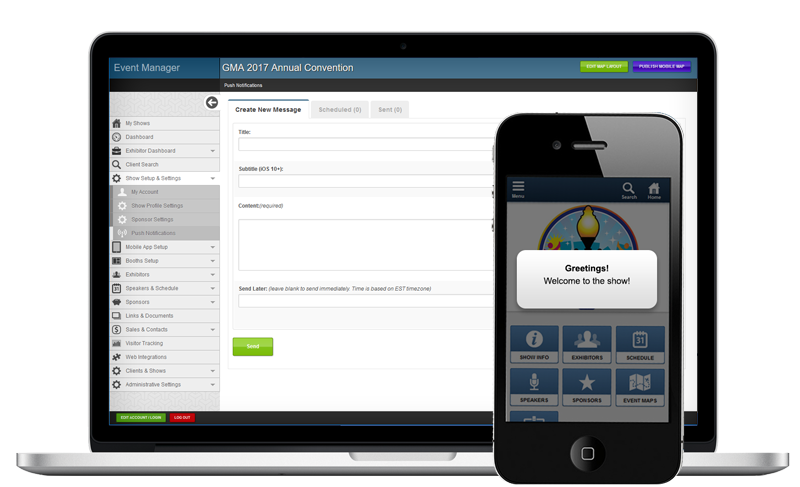 The push notifications system allows you to directly message all users that have download your event app. Works for both Android and iTunes through directly through our admin. Accessible through the admin from the show floor! Schedule messages to be sent at a later time. Q: How long do notifications take to send? Typically the notifications appear on users' phones within a few seconds, or they can be scheduled to be sent at a later date and time of your choosing. Q: How many notifications can be scheduled at one time? Unlimited. Try and set a record! "the system works really well for us"
Sales Manager - Expo and Sampling - Competitor Group Inc.
"Map Dynamics is the only product to use...Period."